History and histrionics in the midlands. 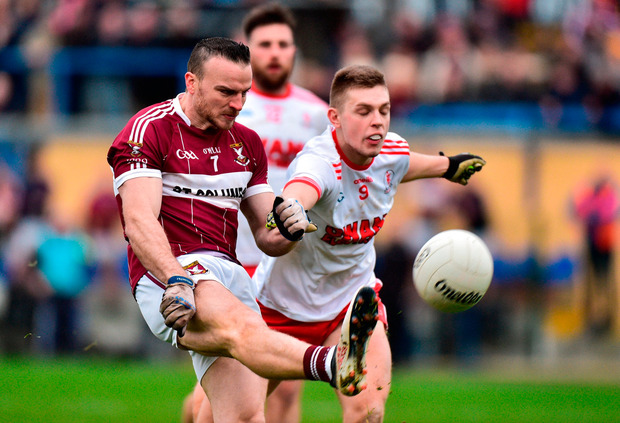 The former belongs all to Mullinalaghta, the first Longford team to reach a Leinster club senior football final. The latter, sadly, is the lot of Éire Óg, whose quest to emulate the storied example of their '90s forebears ended in a blizzard of red cards. The Carlow champions finished with 12 men at Pearse Park and on the wrong end of an 18-point meltdown. But their day of disaster should not take away from an afternoon to remember for St Columba's. 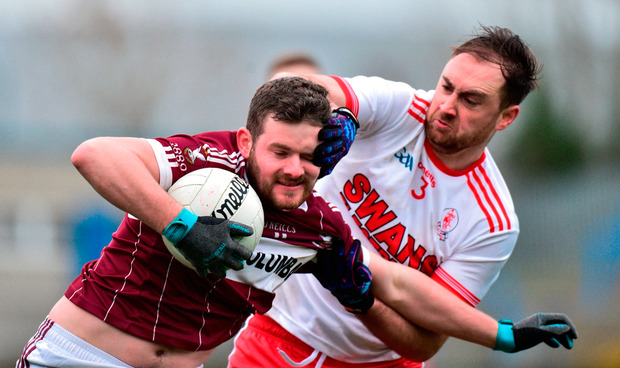 Lucky to be level at the end of a low-scoring first quarter, the three-in-a-row Longford champs turned the screw either side of half-time and were already firmly in the ascendancy before Éire Óg's discipline disintegrated. 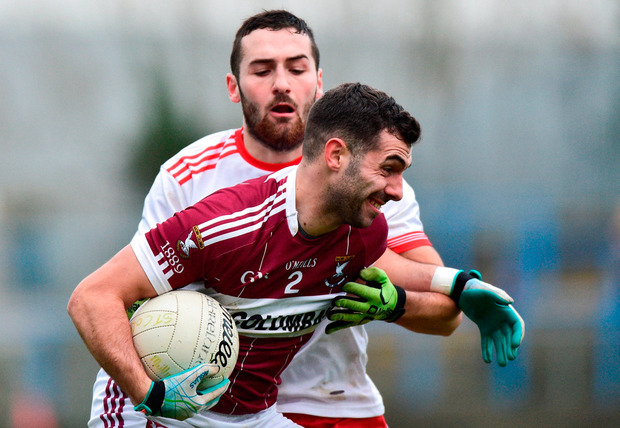 All of which means that Mullinalaghta can circle December 9 in their diary as a date to savour: in the 49th rendition of the Leinster club SFC, they will be the first Longford finalists when they run out against Kilmacud Crokes. "It's huge," admitted their manager Mickey Graham. "And especially we're the smallest team in Longford as well - we're only a half-parish. 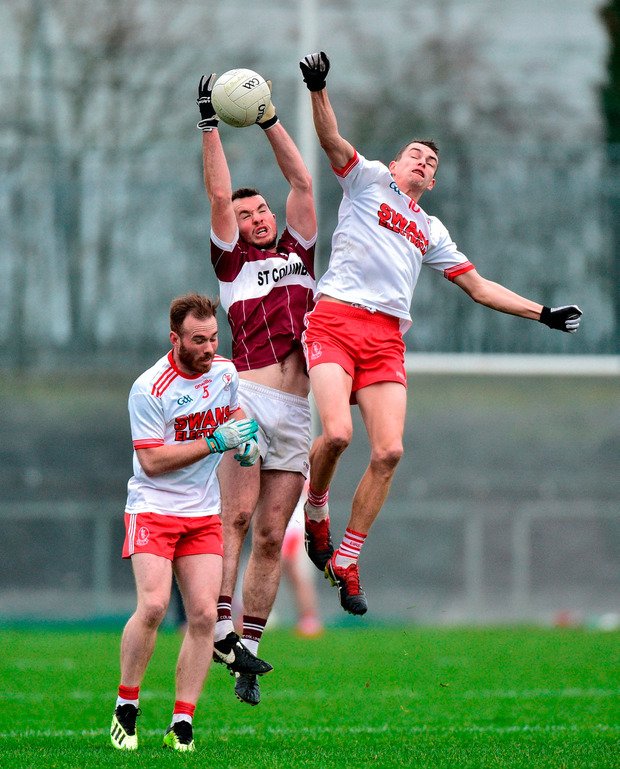 So, what they're after doing, to win a county final even… but just to do this is fairytale stuff." Little wonder that Cavan were so keen to snap up 'one of their own': the newly-installed Breffni boss took over a club that hadn't won a Longford SFC title in 66 years and has now won three out of three. But he knows the bar is about to be raised against a Crokes team already installed as 2/7 favourites. "We're under no illusion, the final is a huge step up for us," Graham reflected. What happened here was all a bit surreal. The visitors started with the greater intent but several early chances were spurned, with Patrick Rogers' smart foot save to deny Christopher Blake the most significant. Midway through a misfiring first half, it was just 0-1 apiece. But then the hosts reeled off five on the spin, crowned by a sweet outside-of-the-boot effort from the workaholic Gary Rogers, to lead by 0-6 to 0-1 at the midpoint. 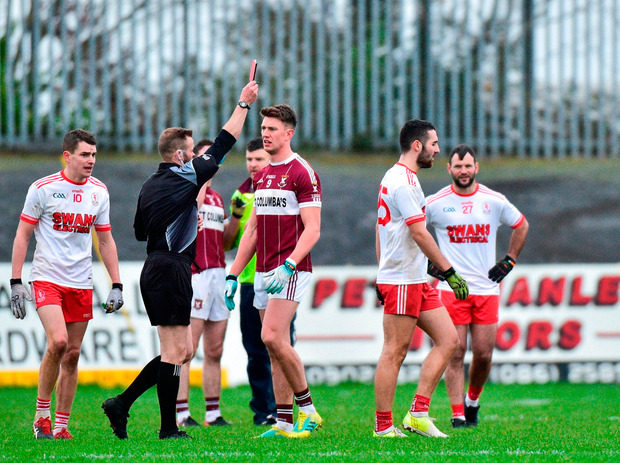 By then Éire Óg were down a man after Ross Dunphy walked in first-half stoppage time, the linesman alerting referee Anthony Nolan to an off-the-ball flashpoint that left Aidan McElligott on the turf. Seconds earlier, Dunphy's point attempt had been blocked before he was implicated for a strike. From there on, Éire Óg unravelled. On 44 minutes, Rogers skipped through a creaking defence to tee up James McGivney, who chip-lifted the ball deftly before finishing low to the left corner. Three minutes later it was 13 v 15 when Christopher Blake, already booked for a high tackle, received his second yellow for a similar foul. Even less excusable was goalkeeper Robert Moore's reaction to being outfoxed in the air by Aidan McElligott, whose clever backward flick to a delivery from Jayson Matthews trickled to the net on 49 minutes. When the custodian floored the goalscorer, red followed while McElligott also left the field through injury. The runaway winners added five more points against 12 men. SCORERS - Mullinalaghta: D McGivney 0-4 (3f); J McGivney, A McElligott 1-0 each; R Brady 0-3; D McElligott, J Keegan, B Fox 0-2 each; G Rogers, J Matthews 0-1 each. Éire Óg: D O'Brien 0-2; C Blake 0-1. MULLINALAGHTA - P Rogers; S Cadam, P Fox, C Brady; F Mulligan, S Mulligan, D McElligott; J Keegan, A McElligott; G Rogers, J McGivney, D McGivney; J Matthews, R Brady, B Fox. Subs: Conor McElligott for A McElligott (inj, 52), M Cunningham for Brady (54), L Meehan for S Mulligan (56), Cian McElligott for Matthews (59). ÉIRE ÓG - R Moore; B Kavanagh, F O'Toole, M Fitzgerald; J Lowry, P McElligott, E Ruth; K Chatten, S Gannon; S Rea, J Morrissey, D O'Brien; R Dunphy, M Ware, C Blake. Subs: M Furey for Morrissey (35), R Mahon for Lowry (38), D Hayden for Rea (40), G McGill for Ware (52). REF - A Nolan (Wicklow).